When a small business grows beyond a single location, it faces a significant challenge. How will it effectively install, monitor and manage its networks across multiple locations? This issue is just as pervasive in the Chicago metro area as it is across the rest of the country. Compounding the problem is the fact that many small businesses have limited IT resources. In some cases, there is no IT department to rely on at all. Leaving the network – a critical piece of business infrastructure – to chance is a poor strategy. But there is a solution. The products and services that small businesses rely on are increasingly moving to the cloud as a cost-effective and efficient way of delivering a superior experience compared to traditional on-premises solutions. The same is true when it comes to networking. New options such as Cisco’s Meraki platform allow small businesses to manage their networks in the cloud. These platforms make branch network management far easier than ever before. Traditionally, businesses would have to tackle the headache-inducing task of setting up several disparate networks across multiple locations. Then, they would often be stuck trying to leverage a half-baked, glitchy or error-prone way to manage them all. In contrast, with the help of these new platforms, businesses can now configure and manage their branch networks from one simple “pane of glass.” All of the complicated pieces of the multi-location networking puzzle are taken care of easily and automatically. In the past, technologically savvy small businesses would ensure that they were utilizing identical networking equipment across all of their branches. This had the benefit of making the installation and initial configuration steps of networking a new location more streamlined. However, there was still the issue of monitoring and managing these networks long term. Any firmware updates to the equipment or changes to the network configuration for security purposes would need to be manually repeated across multiple sites. With small or nonexistent IT departments, this quickly turned into a situation where employees were spread too thin to manage the various branch networks effectively. Many times, critical security updates were never implemented at all, exposing the business to unnecessary risk. And on top of this, there was still the problem of easily monitoring all these different network locations daily. While businesses may have done their best, the simple fact is that both the old equipment and methodology were holding them back from having properly configured, well-managed and secure networks across their multiple locations. They needed a better way. Nowadays, forward-thinking small businesses have much better options for networking than they did in the past. So long as they choose a solid platform such as Cisco Meraki, they can still enjoy the benefits of streamlined installation and initial network configuration at new locations while also being able to quickly and easily manage their networks on a long-term basis. Rather than physically traveling to each branch location, tediously connecting to a location-specific VPN or – worst of all – exposing router management ports to the internet, administrators can now see every single piece of networking equipment at each location through a simple browser-based interface. This means that previously overtaxed IT or administrative personnel have time freed up to better accomplish the other aspects of their jobs. To top it off, critical security updates are easily applied across every location with a few clicks of the mouse, ensuring that network-based risks to the business are minimized. And the single-pane-of-glass interface makes it trivial to monitor each branch network simultaneously, with easily customizable alerts if errors arise. 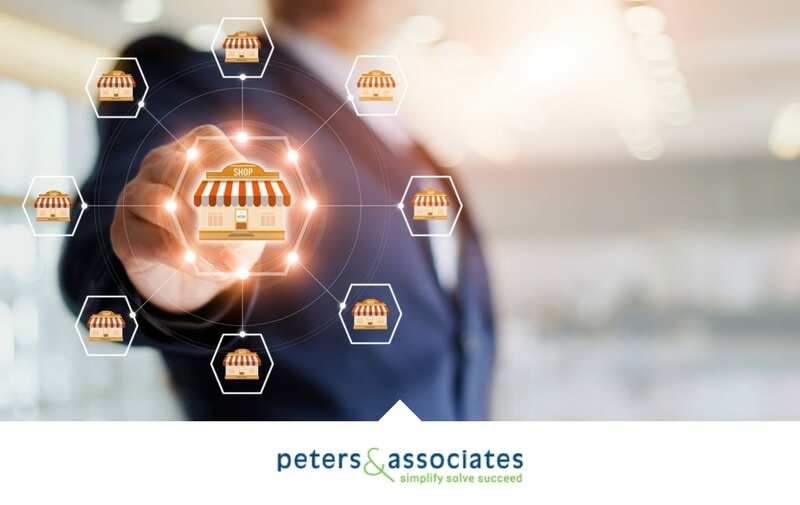 Growing small businesses face a plethora of challenges – finding new locations, hiring new employees, purchasing new equipment, setting up new networks. Rather than continuing to manage their branch networks the old way, smart small businesses are embracing the change to cloud managed networks. This new technology saves times, increases productivity and reduces security vulnerabilities across all branch locations. It is also an effective means of being proactive, since network issues that could cause hours or days of downtime can often be detected well in advance and mitigated before they become full-blown emergencies. Amidst all the chaos of growth, it can be easy to neglect the networking side of things. But modern businesses rely on their networks more than ever before. A properly configured, well-managed and secure network is just as valuable of an asset as a prime piece of real estate. If you have any questions or would like to discuss any aspect of your project, send us an email at info@peters.com or call 630.832.0075 to start the conversation. We are happy to help! SMBs growing to multiple locations need to think strategically in terms of their IT. Learn how to avoid short-term thinking with this IT Action Plan.